How did you come to choose Boulder as the name for your firm? Honestly, it was the first name that came to mind when I decided to create my own firm. Boulder, Colorado is one of my favorite places and the image of clear blue skies, the green grass and trees, and the mountains makes me take a deep breath and relax a little. That’s the kind of experience I want my clients to have when they come to us for help with their investments. I want them to relax knowing that we’re on their team. I always assumed that I’d come up with a “catchy” name for the company, but after several months of working on it, Boulder was still the name in my head. I want people to have an image of a strong, stable, rock of a business that is well grounded and a comfortable place to be. Why did you choose to start your own firm? I started Boulder in 2008 with two primary goals: 1) I wanted to have more control over how we treated the people in the office, the vendors who call on us, and our clients, and 2) I wanted to build a business that was free of the conflicts of interest that I see in the investment world. I believe that an honest, intelligent advisor working in a firm without pressure to sell the company product can do great things for their clients. How do you manage investments for your clients? Most of our client portfolios are custom. Many individual investors believe that the management of their investments should be unique and tailored to their personal needs. It doesn’t seem right to try to fit someone into a cookie-cutter model with a pool of other investors. Having said that, we do use a Core and Satellite approach that allows us to search for the best investments out there and still put them together in a custom manner for our clients. We build and maintain a list of mutual funds and exchange traded funds (ETFs) that we like. Those investments are used to create a core investment strategy based on Modern Portfolio Theory and Asset Allocation concepts. We also maintain a list of individual stocks, bonds, and other types of investments that can be used to address specific needs of the client outside the core investments. Those interests or needs could include: income for retirement; tax-free investing; capital appreciation; sector specific allocations; real estate investments; and others. The book is titled: “Financial Secrets Revealed”. 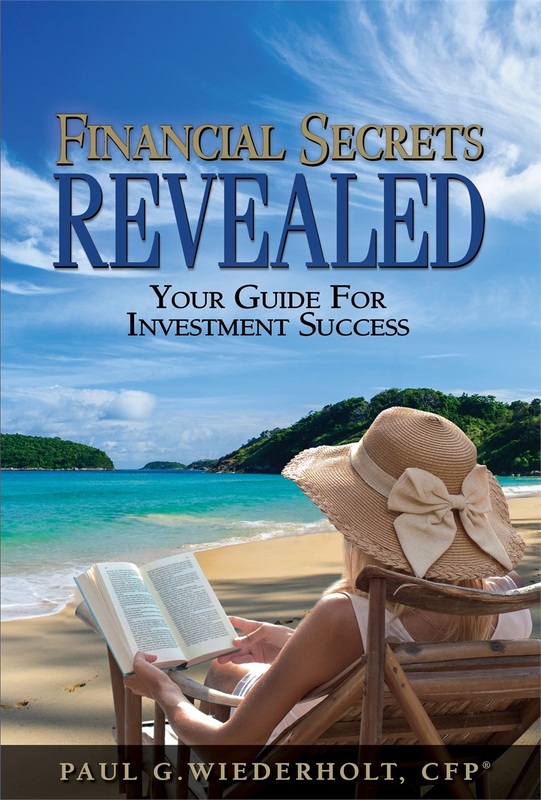 It gives the reader an inside look at the many ways the investment business operates. They’ll learn that even a good advisor working in the wrong system can be compelled to take their eyes off of their client and focus on things that really benefit their employer more than their client. At the end, the reader will have access to a list of questions they should be asking prospective investment advisors and the knowledge to interpret the answers they get to those questions. My hope is that it helps the investor make a more informed decision about whom they choose to help with their investments.